A national level committee to review Chandrayaan-2 recommended some additional tests before the mission could take off, Indian Space Research Organisation (ISRO) sources said. NEW DELHI: The launch of India's second mission to the moon 'Chandrayaan-2', which was scheduled for this month, has been postponed to later this year, ISRO chief K Sivan today informed the government. This has been done to exercise caution as Chandrayaan-2 will be ISRO's first inter-planetary mission to land a rover on any celestial body, they said. During a meeting, Sivan briefed Jitendra Singh, Union Minister of State in the Prime Minister's Office (that looks after the Department of Space), on the upcoming Chandrayaan-2 mission, expected to be launched from Sriharikota around October-November this year, an official statement said. In a setback to ISRO last month, the GSAT-6A, the country's newest communication satellite, went incommunicado in space. An ambitious mission, Chandrayaan-2 will be equipped with a land-rover and probe, which will descend on the surface of the moon, from where they will collect samples of soil, water, etc. to carry back home for detailed analysis and research. This will be the first-of-its-kind moon mission. The landing of the rover will be done near the south pole of the moon which is a "very tricky area" with rocks formed a million years ago. This part has not been explored by moon missions undertaken by other countries. Before Chandryaan-2, ISRO had undertaken successful Chandrayaan-1 and Mangalyaan missions to Moon and Mars respectively. The total cost of the mission is about Rs 800 crore -- Rs 200 crore for launching and Rs 600 crore for the satellite. "This cost is almost half of the cost of around Rs 1,500 crore, which would have been otherwise incurred if the same mission had to be launched from a foreign launching site," Sivan told the minister. 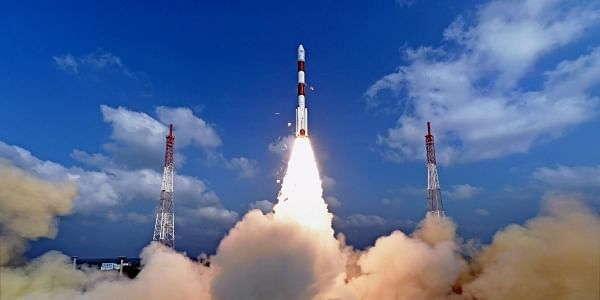 In a media briefing in February this year, Singh had told reporters that ISRO would be launching Chandryaan-2 in April. An ISRO official said there is only a window of one-two days in a month for launching the satellite to the moon. This window was in April and the next available date is in October and then November.